In the eleventh edition of Business Today'sannual listing of the best and brightest businesswomen in India, find out what makes these women stand out in the corporate world. Before we talk about women in business, let us reiterate something that we already know. Gender equality in practice is far more complex than it is in words. It has been a man's world for eons and everything has been discussed from that standpoint. That outlook started changing with women making inroads into influential positions - be it politics, business, sports or governance. Slowly and steadily their numbers are growing and their efforts more visible. Women have reinvented themselves with education and endeavour to become role models. The Business Today annual listing of Most Powerful Women In Indian Business 2014 stacks them up for you. 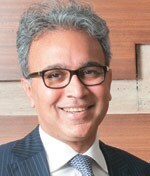 Rajiv Memani, country managing partner, EY India. In the eleventh edition of this special listing, BT has made two significant changes in the way we decided the winners. Firstly, the magazine in collaboration with EgonZehnder, a leading executive search and talent management consultancy and knowledge partner for the list, shortlisted 55 powerful women from a preliminary list of 170 candidates. They were selected from across various categories such as corporate, finance, media and advertising, publishing, entrepreneurs, family businesses, film production, consultancy and legal and research outfits. 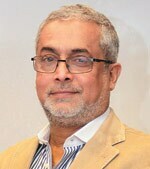 Bhaskar Pramanik, chairman, Microsoft India. We applied four yardsticks to determine their selection: Nature of current role (executive versus advisory); size, scope and complexity of the role; business achievement in the last fiscal year; and spheres of influence and impact. Only those women who have served a year or so in the current executive role were considered. Secondly, an independent jury comprising eminent members in the world of business decided the winners. 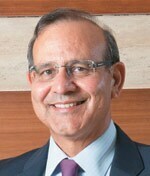 They are Bhaskar Pramanik, Chairman of Microsoft India; Rajiv Memani, Country Managing Partner of EY India, and Leo Puri, Managing Director of UTI AMC. They met in Mumbai on July 1and selected 22 out of the 55 names as the Most Powerful Women in Indian Business for 2014. The jury choices were based on executive performance, company's or institution's performance, and impact. mosimageApart from the consistent performers who feature in our list every year, we have nine debutants and three comebacks. Read on as we narrate their journey to the pinnacle of success and glory.